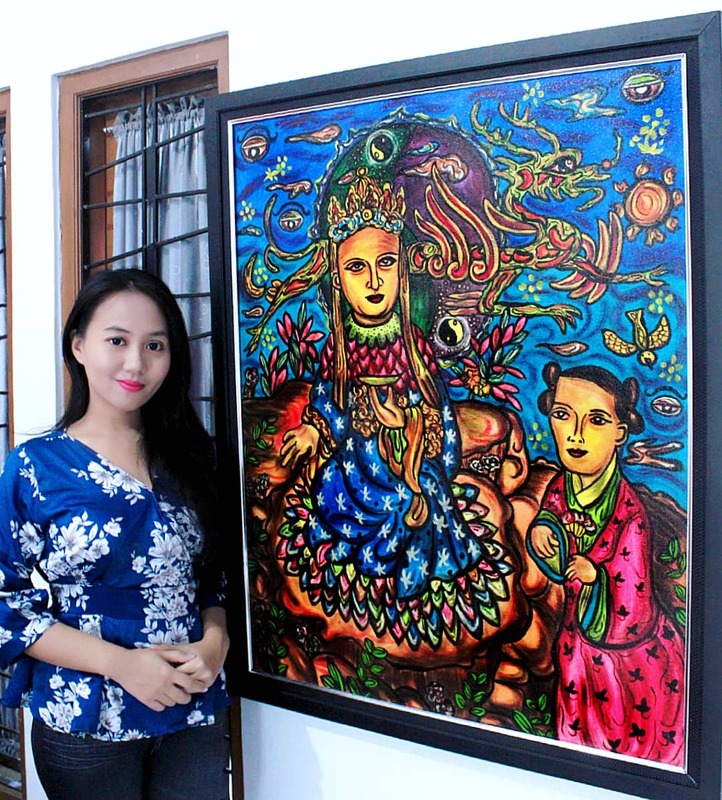 Seruni Bodjawati's artworks are able to show her unique talent. It’s not simply because of her technique provisions but also because the ideas and inner-thoughts conflicts she experienced based of what she read. The artist who was born at September 1st, 1991, has achieved numerous art awards until 2012, such as: The Best Painting Artwork Dies Natalis XXVII Indonesian Institute of Arts Yogyakarta, Top 12 The Best Artwork Bazaar Art Award 2011 by Harper's Bazaar Indonesia and Vanessa Art Link Jakarta, The Best Painting Artwork Dies Natalis XXVI ISI Yogyakarta, The Best Watercolor Painting ISI Yogyakarta, The Best Sketch FSR ISI Yogyakarta, Selected Painter: Local Government of Yogyakarta and Kyoto Japan Painting Cooperation, and was the champion of 15 children painting competitions in Jogjakarta and Central Java. 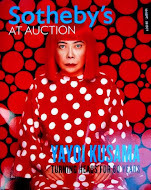 In January 2011 she was awarded as The Most Successful International Visual Artist under 20 by La Société des Artistes Contemporains, France. 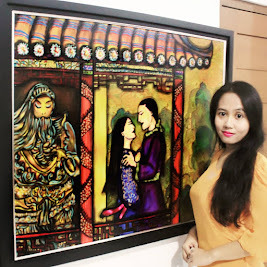 She was also elected as one of Indonesian Young Heroes by Aplaus The Lifestyle Indonesia in 2011 for her achievements in international art scenes. In 2012 she was awarded as The Most Inspiring Woman in Art and Culture by Kartini Magazine Indonesia and Indonesian First Lady Ani Yudhoyono. She also received Honorary Award from Director General of Higher Education of the Ministry of Education and Culture and awarded as The Best High-Achieving Student by Indonesian Institute of the Arts Yogyakarta and the Rector of ISI, Prof. Dr. AM. Hermien Kusmayati, S.S.T., S.U. Seruni has held four solo exhibitions in Jogjakarta (her first solo exhibition was when she was nine years old at Kayon’s Gallery, officiated by Kartika Affandi) and dozens of group exhibitions both inside and outside the nation as in Japan (Kyoto), America (New York), Australia (Melbourne), Philippine (Manila), Romania (Bucharest), France (Marseille, Boulogne & Paris), India (Hyderabad), England (London), Germany (VK Lauterbach), New Zealand (Christchurch), Singapore, Hungary (Budapest & Eger) and Spain (City of Cuenca). Every sides and corners of Seruni Bodjawati's house are constantly calling for hard work. Seruni has her own private library with thousands of books which about all being read. Nobel winning masterpieces like The Old Man and the Sea by Ernest Hemingway, The Good Earth by Pearl S. Buck, Snow Country by Yasunari Kawabata, Tortilla Flat by John Steinbeck, Albert Camus’ La Peste , etc. She has also read many books of Victor Hugo, James Joyce, Virginia Woolf, Agatha Christie, Haruki Murakami, Natsuo Kirino, Dan Brown, Karen Armstrong, JK Rowling, Laura Ingalls Wilder, Gabriel Gracia Marques, Kahlil Gibran, Edgar Allan Poe, and Jung Chang. 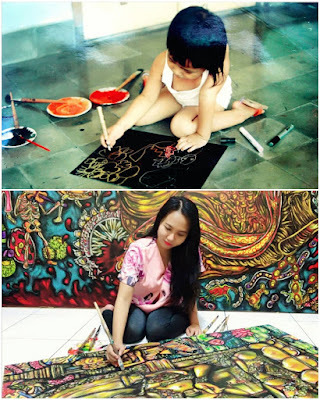 Art essay by Seruni Bodjawati. It was published in one of the most famous newspapers in Yogyakarta named "Kedaulatan Rakyat". Seruni writes a lot of short stories, poems, and essays. Some of them were published in local newspapers and magazines. Meanwhile, she read all Indonesian novels and short stories by Iwan Simatupang, Pramudya Ananta Toer, Mochtar Lubis, Danarto,Umar Kayam, YB Mangunwijaya and also female writers such as NH Dini, Ayu Utami, Djenar Maesa Ayu, dan Dewi Lestari. 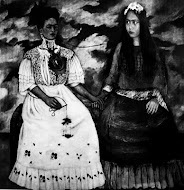 She read Indonesian art essays by Sudjojono, Trisno Sumardjo, Nashar, Sitor Situmorang, M. Dwi Marianto, Suwarno Wisetrotomo, Aminudin TH Siregar, Jim Supangkat, Jakob Sumardjo, Helena Spanjaard, Carla Bianpoen, Enin Supriyanto, Farah Wardani, and Mikke Susanto, for about every day, over and over again. Similar to the works of many great philosophers such as Faust by Goethe, L’Existentialism et un humanism and Les Mots by Sartre, Zarathustra and Beyond Good and Evil by Nietzsche, Une mort tres douce and Le deuxième sexe by Simone de Beauvoir, the Philosophy of Right by Hegel, and Discourse of Method by Descartes. Her favorite books are ones about Machiavelli and Confucius teaching. Scripts by William Shakespeare which translated by Trisno Sumardjo and Rendra are Hamlet, King Lear, and Romeo and Juliet are the scripts she read. Her favorite poetry are Rendra’s Blues untuk Bonnie and Mencari Bapa, Sajak Ladang Jagung by Taufik Ismail, Perahu Kertas by Sapardi Djoko Damono, dan Asmaradana by Gunawan Mohamad. 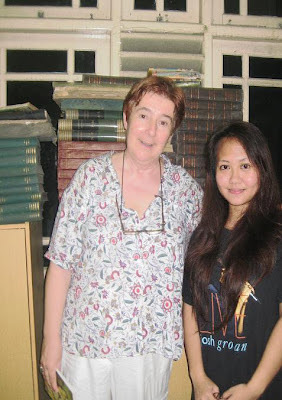 Seruni Bodjawati in her private library with Dr. Helena Spanjaard, art historian and writer of Indonesian Odyssey: A Private Journey Through Indonesia’s Most Renowned Fine Art Collections. 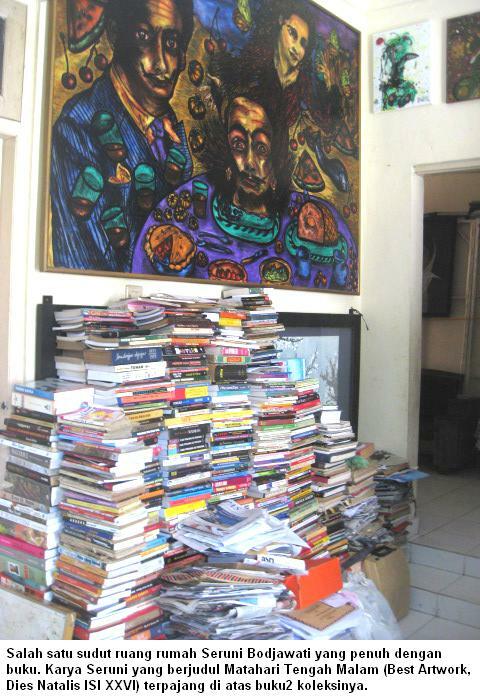 There are almost ten thousands of book titles in her house. 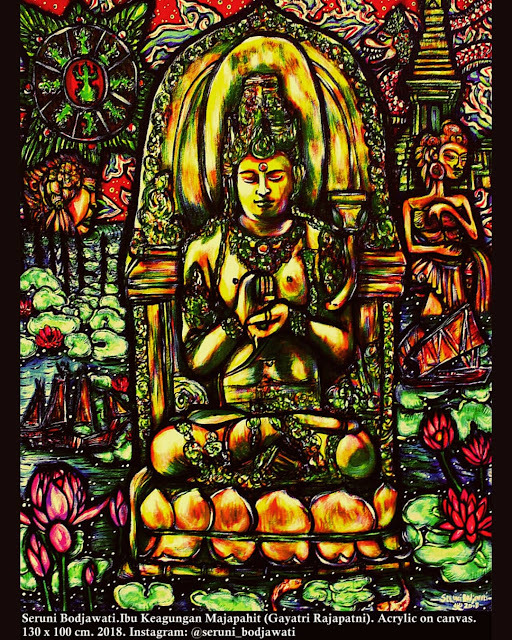 They are books from the areas of philosophy, law, art, culture, anthropology, literature, to books titled like Suluk Gatoloco and Darmogandul, Tao Te Ching, Bhagavad Gita, Babad Tanah Jawa, Greek Mythology, and etc. She and her family live in a humble way. Even she took her heavy canvases anywhere by foot or taking a bus, yet the books keep counting more and more at her house. Every sides and corners of her house are constantly calling for hard work. 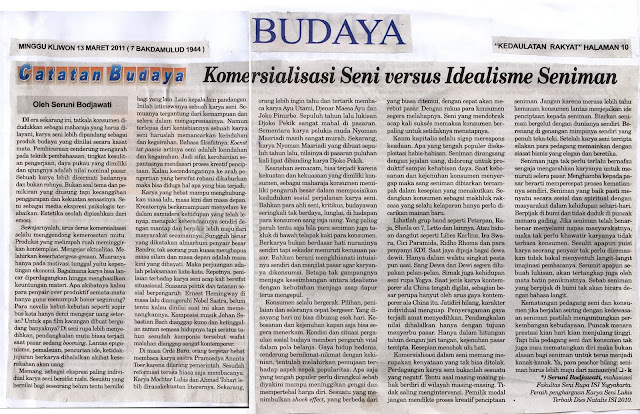 Written by Aji Pamungkas, SH. The Head of Forum Teater Kampus Yogyakarta from 1995-1998. He remainly active in Azwar AN Acting Training Center, 2001. He writes many cultural essays and opinions for mass media. Tanslated by Trie Ayuningtyas. An independent translator from STBA YAPARI-ABA Bandung, Majoring English.